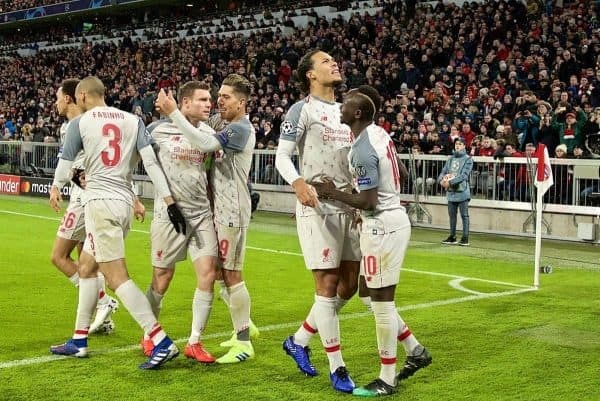 Liverpool are in the midst of a Premier League title chase and another push in Europe—but is it only winning which defines a successful season? There’s a question which keeps coming up a lot recently. Or, rather, two of them. 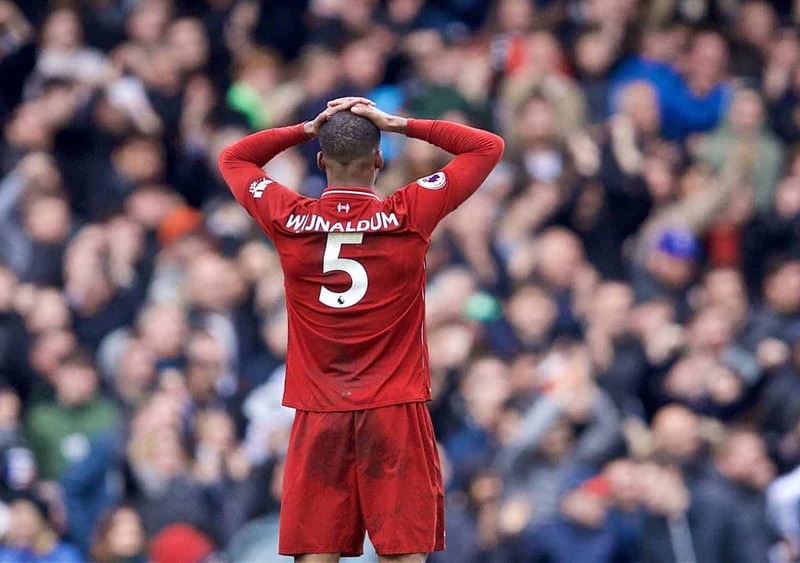 The principle query being: should Liverpool win nothing this season, can it be deemed a success? And, secondarily, what does this mean for Jurgen Klopp? On the face of it, the Reds have an all-or-nothing few months ahead of them. It could yield that oh-so-desired league title, or perhaps yet another Champions League final—a mere 12 months after the last. Likewise, it could come to nothing. These are halcyon days right now, though it appears many are too caught up in the moment to realise. There will still be those amongst the fanbase raring to lash out should the Reds fall short. You only have to look to the cesspit that was social media following the draws to Everton and Manchester United to observe. Likewise, rival fanbases are salivating at the prospect of seeing Liverpool lose their footing. Particularly with regards Klopp, and a fresh opportunity to jibe at his career trophy haul. Nonetheless, on our own part, a bit of introspection goes a long way. As we fretted our way through another three points at Craven Cottage last week, Liverpool surpassed their collective total for the whole of last season. There are seven domestic games remaining. Some fans still have a bee in their bonnet that, with the season reaching its climax, the Reds do not hold destiny in their own hands. From a personal standpoint, never in my lifetime have I seen a Liverpool side as good as this. Little things here and there offer random points of reflection. Earlier in the week, it was the 35th birthday of Fernando Torres. The club itself and a series of ex-players bandied messages back and forth on social media. It really hit the feelings, and pricked the nostalgia. 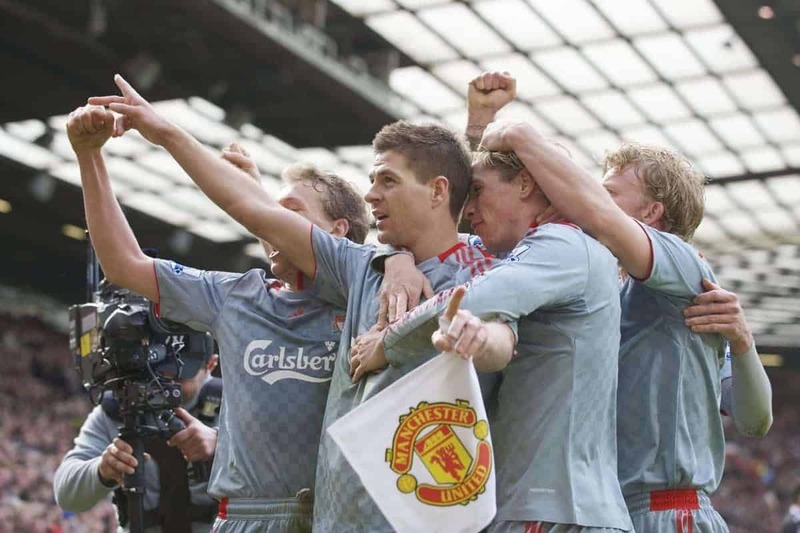 Yet, thinking back to those teams of Torres and Xabi Alonso, Jamie Carragher and talisman Steven Gerrard…it never quite felt at the top, top level. That side came agonisingly close, may we not forget, losing two games all season in 2008/09, yet falling short to Manchester United. A United team who lost four times that campaign, no less. It could all, rather heartbreakingly, repeat itself again this year. Liverpool could lose one game all season and still come away with nothing to show. What’s largely being missed is that Liverpool are now very much back at the top table, at a period in Premier League history when the level is at an all-time high. 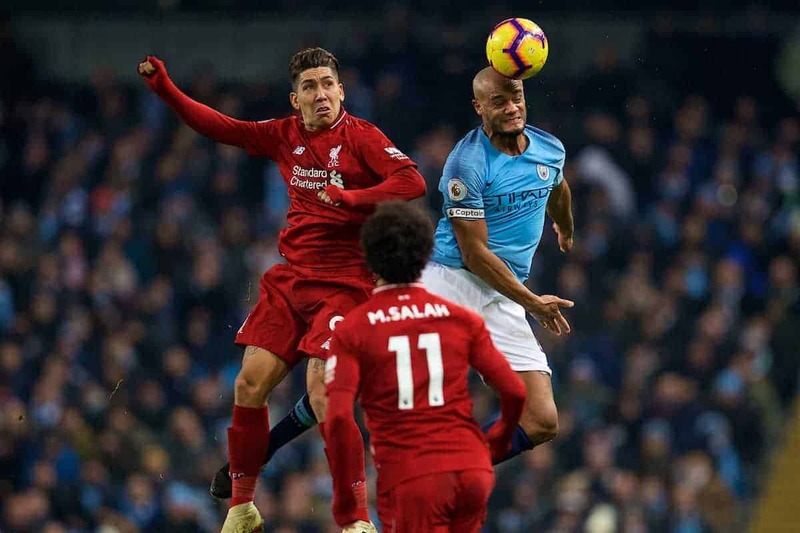 Pep Guardiola’s record breakers may well be the finest side the English top flight has ever seen, yet the brilliant Reds are right alongside them—momentarily, at least, top as we navigate the international break. Kopites have always had their dreams shattered during the Premier League era by teams which were, without question, better. United’s dominance at the turn of the century gave way to Arsenal’s purple patch of invincibility, which in turn bowed to the emergence of free-spending Chelsea. Manchester City’s stepping into the ring changed everything, of course, painting Chelsea as mere paupers in a cityscape where financial clout now rules supreme. There’s always been that somebody, or somebodies, better. The freak 2013/14 campaign under Brendan Rodgers nearly rewrote all rule books, only for order to be painfully restored at the last gasp. That wild season gave me a premonition that this is how all future Liverpool title challenges would arrive—whenever few or far between they did. We’re not going back all that far, but it was difficult to forecast then, a Reds side which could be sufficient in all areas. More than sufficient in most, of course. Outstanding in many. Liverpool are back at the top of the pile and nobody is questioning as to why or how. 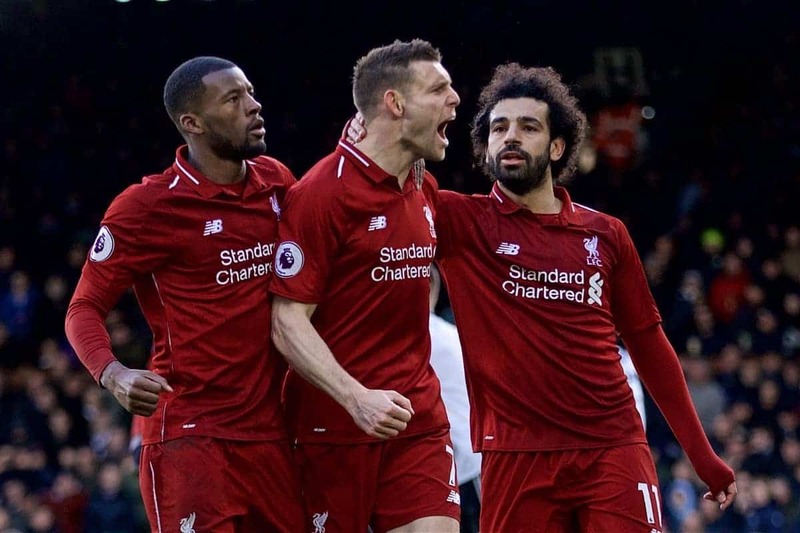 Klopp’s carefully crafted side has taken shape over the past few seasons to the point where it is now a ballistic missile, on its day. Those who now bemoan a draw against a tough opponent, or the dragging of an undeserved win over the line, still hark from those days of our not-too-distant past. It’s hard to place blame, to be fair. Supporting Liverpool back then was more in hope than expectance. I like to believe that those blowing up at one misplaced result here or there this season are so lost in the progression of the side, that they’re afraid of the bubble bursting. This Liverpool team is back at the pinnacle of English and European football, whether silverware is being placed into the Anfield cabinets at the end of the campaign or not. The last 18 months with this football club have been a journey like never before. Come next season, they’ll be back challenging again. The romanticist in us all would like to believe this is the start of something very special, that will endure indefinitely. But, back to the original question(s): is this season a failure if it comes to nothing? Has Klopp underachieved? 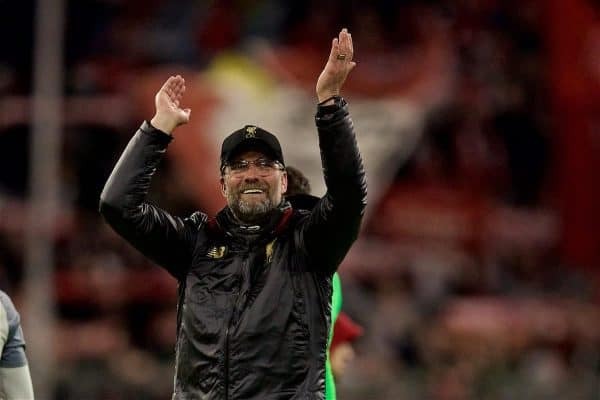 As we currently stand, with 76 points after 31 games, Liverpool would have led the table outright at the same stage in eight of the past 11 seasons of Premier League football. A team performing as Klopp’s does, and picking up the same points as Liverpool now average, would have won the 2010/11 season by a 10-point margin—sweeping aside Sir Alex Ferguson’s foot soldiers who won the division by a cool nine points. For context, Liverpool finished that season in question on 58 points, narrowly hanging on to sixth. Again, they currently have 76. Progression and evolution has to happen in order for something to become a better version of itself, but in football terms we are living in unprecedented times. 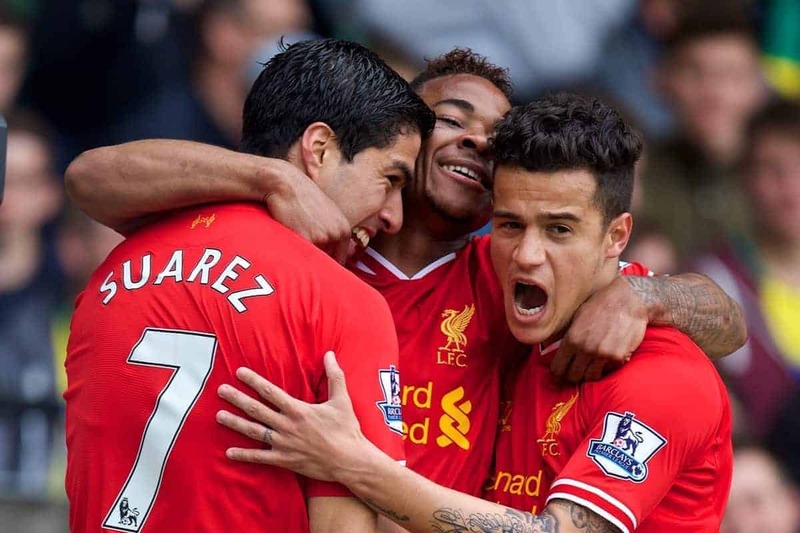 It has to happen now more rapidly than ever before, yet Liverpool are somehow keeping pace. A few days ago, in a much-debated publishing, Football France placed Klopp ahead of Arsene Wenger in the greatest-ever managers of the game. They took into account achievements in relation to the climate in which they had been accomplished. Few landscapes move faster than that of football’s. Liverpool have been blessed with multiple finals since Klopp’s arrival. Granted, a handful of pain has followed. What we have before us, however, is very special indeed. It’s a blessed time to support this club, and right now the Reds and their gaffer are winning in every sense required.